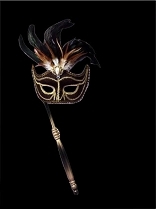 Nothing's more classic than a masquerade mask, and at Halloween-Mask.com we have some great ones! 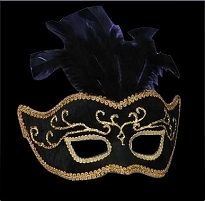 We have Venetian masks, Carnivale masks, Mardi Gras masks, opera masks, and more, all waiting to accessorize your costume. 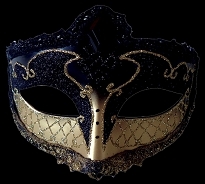 Bring some real mystery to the masquerade ball and leave others wondering! 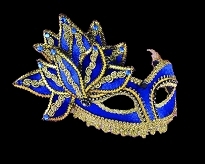 Our collection of masquerade masks includes a wide variety of styles and colors. 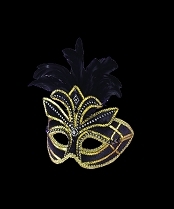 Whether you need black and gold, pink, purple, red, or even color-changing, we have them. 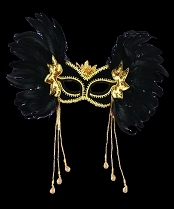 Some styles have feathers and other accessories of various sizes to help you cut a more daring figure. 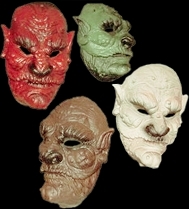 We also have some that are devilish and scary! 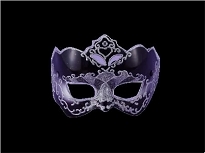 Check out our selection of masquerade masks and we're sure you'll find one that's perfect for the occasion and fitting for your budget.